In a statement, the California Charter Schools Assn. said it was not familiar with any situation in which a student was excluded from a school as the result of a parent’s failure to volunteer. The group said it would provide guidance to its members on the issue. Jed Wallace, president and CEO of the California Charter Schools Association, agreed that excluding students from a charter school because a parent failed to volunteer is illegal and inappropriate. But, he said, that’s not the practice. Notably, the California Charter Schools Association eventually relented by advising all charters schools in California to stop requiring the volunteer hour payments as a condition for enrollment and otherwise. Well, California Charter Schools Association and their lobbyists are back with a free candy van in the form of a letter opposing legislation written to address charter school suspension, expulsion, admissions and departures. There are a variety of issues with the letter written by the charter lobbyist, but I’d like to point out just three in this blog post. The first is a mischaracterization by the charter school lobbyist of a report on charter school discipline by the Civil Rights project. The second is a critique of the charter lottery admissions process. Finally, thoughts on charter school achievement. You can view the full charter school lobbyist letter here. If there is interest, I can debunk the other sections of the letter in a future blog post. I was quite surprised when I read this. So I emailed Gary Orfield and Dan Losen at the Civil Rights project. Here is the Civil Right’s project response (Exclusive to Cloaking Inequity). On behalf of the Civil Rights Project at UCLA, I request that you redact the inaccurate and misleading reference to our forthcoming report on charter schools and school discipline in your organization’s March 23, 2015 letter of opposition to SB 322 that was sent to Senator Leno. 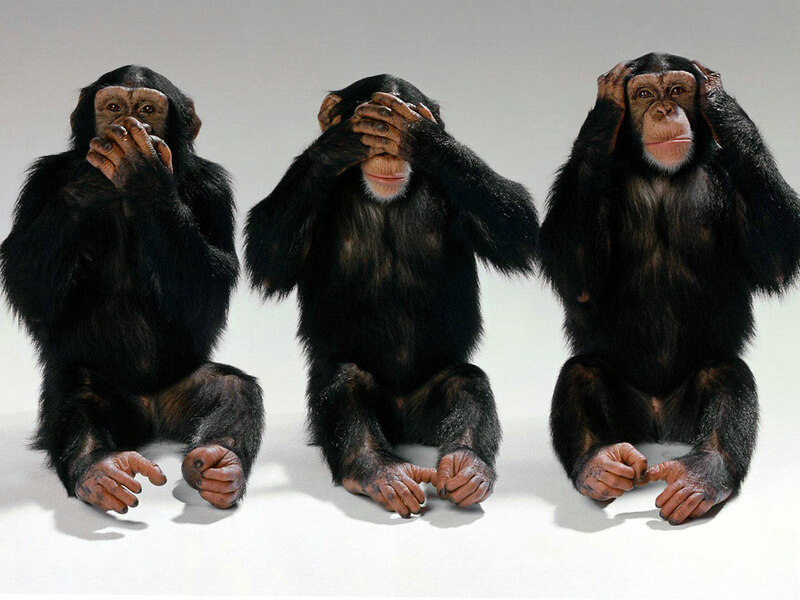 The report your opposition letter references does not exist and we have no confirmed findings. Given that the report has not been written, the most likely source for your reference would be from a webinar for the American Bar Association on due process concerns with charter schools that I jointly presented with Attorney Soto, Sr., Vice President for the California Charter Schools Association (CCSA). However, my portion of our webinar presentation began with “don’t quote me.” My webinar Power Point slides state at the bottom, “Preliminary not for citation, or dissemination.” Moreover, I explicitly cautioned against drawing conclusions because possibly contradictory data on arrests, referrals to law enforcement, and expulsions, as well as other data issues, needed to be reviewed. Despite these warnings, CCSA’s letter to Senator Leno inaccurately cites my organization, The Civil Rights Project at UCLA, as the source for the finding that when traditional schools are compared to charters, “In reality, nationally and in California, there is no difference in suspension and expulsion rates.” In reality, we have yet to analyze expulsion data and my preliminary analysis for the webinar made no mention of California. However, my presentation did emphasize concerns that some charter schools were likely violating the due process and civil rights of children. I also raised concerns that some charter schools may be dis-enrolling students, or “constructively expelling them” without officially reporting students as expelled. Your misleading references to our unpublished preliminary findings on charter schools for the expressed purpose of bolstering your opposition to Senator Leno’s proposal, which our research supports, is emblematic of the concerns many have raised with the inaccurate portrayal of charter schools by charter proponents. Charter schools, like all public schools, should be transparent with the information they report to the public. This year, Teachers College Press published extensive new research from scholars across the nation on effective approaches to school discipline in the book, Closing the School Discipline Gap: Equitable Remedies for Excessive Exclusion. This volume of research, which we collected and edited, concludes with research-grounded recommendations to federal and state policy makers for strengthening due process and limiting suspension use to a measure of last resort. Recent changes to the California code foster improvements in these areas and all public schools, including California’s charters, should be required to comply. While I am glad that CCSA is paying attention to our research, I encourage you to read the scholarly analysis in our book and cite to our actual published findings and recommendations without further distortion. In addition, in the conclusion to our latest report on school discipline covering every district in the nation, Are We Closing the School Discipline Gap? The Center for Civil Rights Remedies at UCLA’s CRP recommends that “as state legislatures and school board members pursue reform of education statutes or revise regulations they should concentrate on changing state codes to curtail the use of suspensions for minor offenses, and provide districts with funding and incentives to pursue more effective interventions.” We intentionally did not carve out an exception for charter schools. To the contrary, our published research supports the proposed changes offered by Senator Leno in SB 322. Whether or not charters in the aggregate are higher or lower-suspending than other public schools does not diminish the need for all charter schools to implement the state discipline code as SB 322 would require. Further, all public schools, including all charter schools in California, should be monitored closely for due process and civil rights violations, as well as other data that may reveal or help prevent unlawful exclusion. To be clear, we believe that California’s charter school leaders can play an important role in fostering effective school climates that improve learning while limiting exclusionary discipline and reducing disparities. To prove that they are effective in this regard, it is imperative that charter schools fully comply with all state and federal discipline requirements and civil rights guidance to ensure that the civil rights of students in California are not violated. SB 322 will help Charter schools in California fulfill these goals. Therefore, I strongly urge that CCSA reverse its opposition to SB 322. The new report, a tool for finding the discipline data for any district, and links to the book, Closing the School Discipline Gap, can all be found at www.schooldisciplinedata.org. Yes, I believe that response is very informative. Here is the link to the Civil Rights project response letter. The lobbyist claims that the exclusion of two “…key provisions….leaves the impression that charter schools have latitude to be discriminatory.” The provisions include “…a public random lottery” in cases where “there are more applicants than there are slots.” If the pool of potential students overrepresent a particular demographic, however, a random lottery would only serve to perpetuate segregative trends. Indeed, according to NAEP data, CA charter schools have an overrepresentation of African American students (compared to public schools), and an underrepresentation of Latino, English learner, and students with an IEP. The lobbyist continues, “Admissions are an important component of a mission- driven charter school. Far from being used to exclude applicants (which is explicitly illegal), they are used to inform potential students and their parents about the purpose of the school and the expectations of its students.” Despite affirming the illegality of exclusion, it is the implicit nature of the exclusion that has been described at length for some time (e.g., see Wells, A. S., Artiles, L., Carnochan, S., Cooper, C. W., Grutzik, C., Holme, J. J., et al. (1998). Beyond the rhetoric of charter school reform: A study of 10 California school districts. Los Angeles: UCLA Charter School Study). The lobbyist uses CREDO results to substantiate his assertion that CA charter schools are outperforming public schools. Aside from issues previously raised about the interpretations of the results (See Maul & McClelland, 2013), forthcoming analyses that will be released in a new report by the Network for Public Education using the National Assessment of Educational Progress (NAEP) will counter CREDO results in California. Effect sizes for reading achievement was higher for public schools by 1.15 SD for 4th grade and .53 for 8th grade; and higher for mathematics by 1.15 SD for 8th grade. Yes, maybe I just broke a little news. The Network for Public Education has some very interesting analyses of charters and a national report card coming soon. 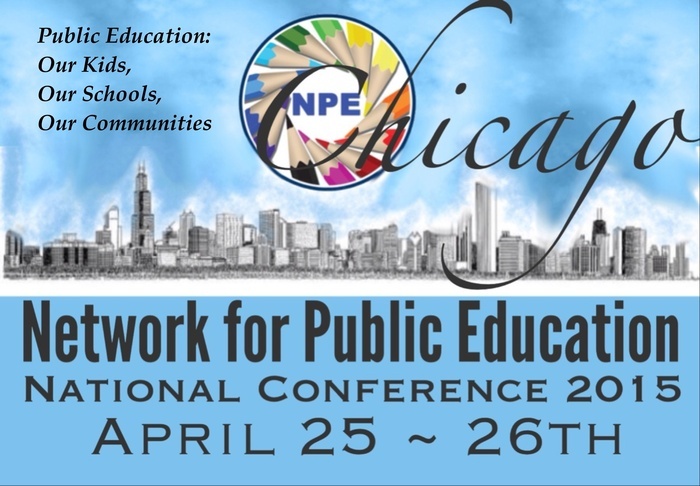 Be sure to join us at the 2015 NPE Conference Chicago at the end of April. So what is the moral of this post? Don’t trust charter lobbyists that get out of a van with FREE CANDY painted on the side. I saw your post of California and charter schools. Good job. It’s great that you are putting a spotlight to this issue. I have a couple of items that you might find helpful. First, I co-wrote an article titled “The Legal Status of Charter Schools in State Statutory Law,” (UMass Law Review), that discussed whether charter schools were public or private on a variety of areas, including school discipline. We wrote about a case titled Scott B. v. Board of Trustees of Orange High School of Arts. In that case, a California appellate court held that a charter school did not have to provide due process rights to students, in part, because they were schools of choice. We also concluded that legislatures should clearly stipulate that charter schools provide students with due process rights. We also explained how the failure to provide due process rights for students in all-charter school districts (e.g. New Orleans) could create nightmare scenarios for students. Second, I wonder if charter schools are violating their state constitutions and state statutes by requiring parents to provide “volunteer” service in order for their children to attend charter schools. That seems like “tuition” to me. That is not a free, public school education. Do you know of legislation or ruling in California that now allows charters to not be required to accept children who are ELL or special education? We have learned that this is now so – what they do in fact is now acceptable in policy. TEAch – Transparency, Equity and Accountability in Charters is looking into these kinds of infractions and more. Thank you for what you are doing Julian Vasquez Helig! Be aware that CREDO is part of the Hoover Institution, a right-wing pro-free-market advocacy operation that functions under the auspices of Stanford — it is not impartial research but a propaganda operation. At times CREDO research has NOT shone favorably on charters, and the fact that that research comes from a pro-free-market, pro-charter propaganda operation lends it weight. But in any case, it should still be pointed out. This is NOT “Stanford research,” implying impartial academic research.